When someone hands you an opportunity to stay active, you take it. For 25 years DonJoy® has been reinventing new technologies for injury recovery and conservative care of disease state such as osteoarthritis. All with keeping you in the game and in an active lifestyle. We have done it again using three of our most advanced technologies. Introducing, the OA Reaction TriFit™ Web Knee Brace, a 3-dimensional osteoarthritis knee brace constructed for the intimate custom fit to fit your lifestyle. 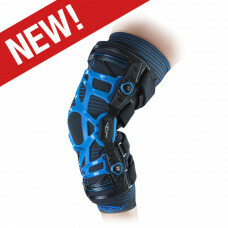 As the most unique single upright OA Knee brace on the market today, the future of form fitting knee bracing is here. No other brace comes close. TriFit™ fits like it was made for you, because it was. 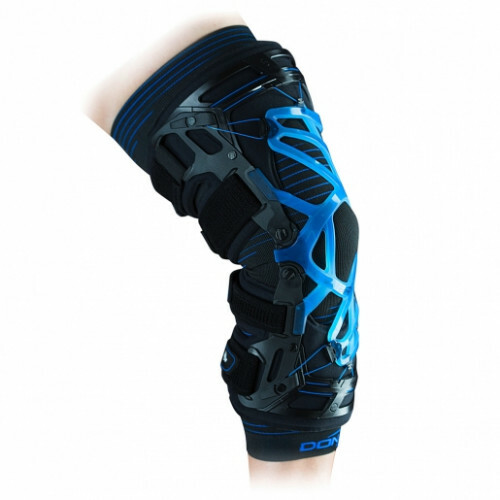 As the first ever 3-dimensional knee brace, it’s the intimate fitted brace solution. Wraps your knee in a soft and supportive web for assisted patella tracking and absorption of painful forces. Adjusts further with micro tension capabilities for a secure and snug fit. Forms to your knee using heat customization for an intimate fit. TriFit™ is completely streamlined and customizable for optimum flexibility, movement and comfort. In fact, the only thing this brace doesn’t do is get in the way. TriFit acts as an extension of your body, not a bulky reminder of the pain. Thanks to the advanced 3-dimension technology, this brace offers an intimate and custom fit, designed to help reduce joint stiffness and pain by heightening shock absorption and dampening painful force and pressure.